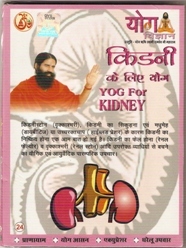 This New VCD for kidney By Swami Ramdev ji contains Pranayamas, Yoga Assanas, Accupressure & Home remedy for kidney. Kidney Stone (Renal Stone) & Kidney Failure (Renal Failure) due to Shrinking of kidney and Diabities or High Blood Pressure is very common these days. To save yourself from Kidney failure (Renal Failure) and Kidney Stone (Renal Stone) Please do Yoga Pranayama & Ayurvedic treatment with the help of this VCD. Due to Drinking less water, Taking lot of medicines, Eating Lot of acidic things, Diabetes and lack of exercise of liver and Kidney, Many people are suffering from this dreaded disease of Kidney failure (Renal Failure). 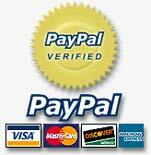 Dialysis can save life for some days but kidney transplantation is the only Remedy, that too has it's risks.